Steel Woollies – plenty of iron! Still scratches my mouth less than Cap’n Crunch! This comic makes me laugh! 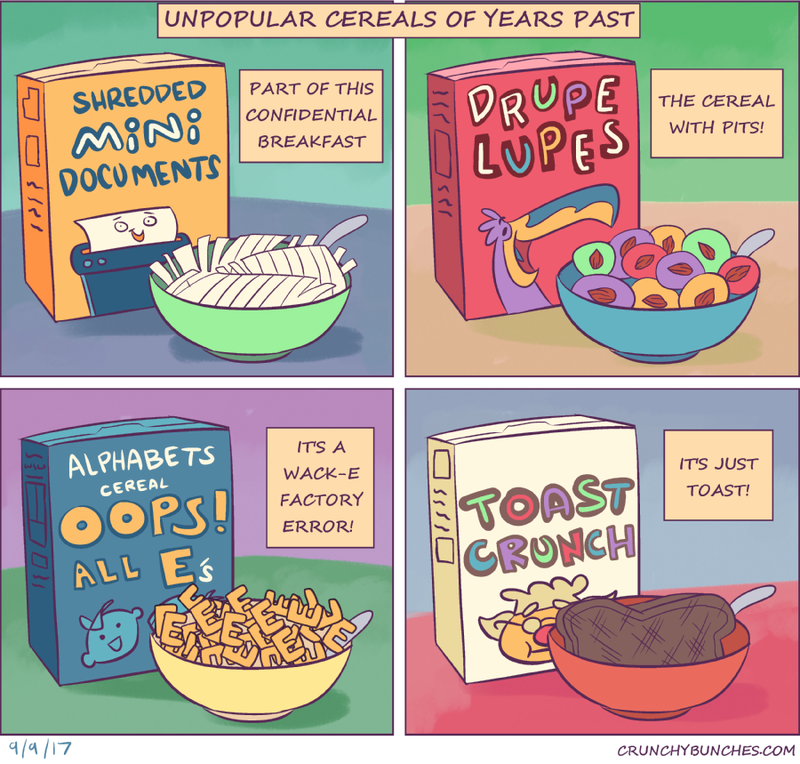 Looks more like “Burned Toast Crunch” to me.